StopTheFakes.io, set up a large-scale system to fight counterfeiting, but the sky is the limit, so their team decided to declare war on pirates distributing other people’s content on the Internet. Let’s take a look at the enemies and find out who is behind online piracy. Only several top Internet services boast a larger attendance. But here’s the funny thing: YouTube is not officially a piracy website, but it gives users the opportunity to upload content. Statistically, one out of three videos featuring YouTube advertising has been uploaded without the consent of real rights holders. Seven out of ten Internet users in the USA think there’s nothing bad about piracy. It’s because up to 67% of all websites containing stolen content are hosted in North America and Western Europe. Even law-abiding citizens in the developed countries consider it acceptable to share content with their family and friends, not caring about the violation of the law or the rights holders. How much of the Internet belongs to pirates? Almost 22% of all Internet traffic is related to pirated content. The emergence of broadband connection and the development of mobile data transfer techniques boosted piracy. Up to 98.8% of all the data transferred in P2P networks are protected by copyright. Only 1 out of 10,000 files transferred in BitTorrent has no © copyright sign. What kind of content attracts thieves most? Interestingly, some music labels and their associations are among the most active illegal content distribution fighters. They are the ones that promoted most laws aiming to defeat piracy in the United States. 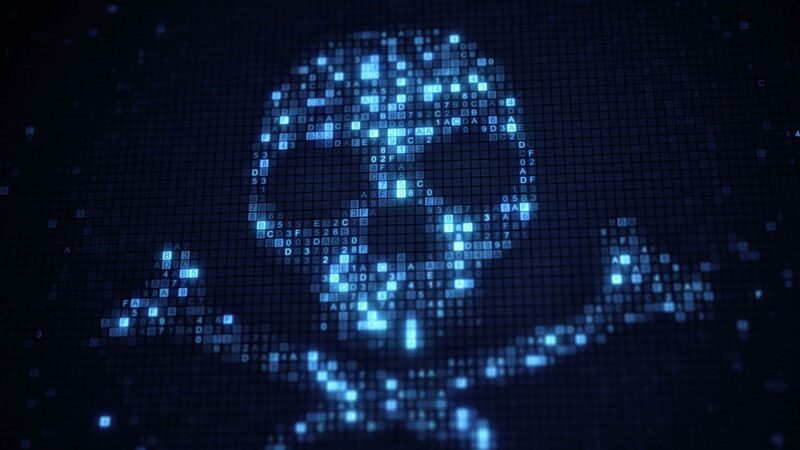 How harmful is Internet piracy? Estimating the damage caused by illegal content distribution is extremely difficult. After all, it doesn’t necessarily mean that a person will not go to the movies if he has already watched a pirated version of the film. Microsoft has long turned a blind eye to those who downloaded its product. The legendary phrase “If they steal, let them steal from us” was even attributed to Bill Gates. The Digital Millennium Copyright Act, adopted in the United States in 1998, turned out to be the most efficient anti-piracy tool on the Internet. This piece of legislation requires that all companies delete not only the copyrighted materials but also links to it. Rights holders can directly address Internet services such as Facebook, Google or Twitter, and demand that they delete the copyrighted stuff. Google collects statistics on such requests and even makes them available to the public. This information speaks for itself: several hundreds of requests were registered in 2011 compared to over 20,000,000 requests registered every week in 2016. Rights holders willing to resist pirates spend most of their money on the search for websites featuring the stolen content and on the requests for its removal. The project has already created a working system in which users can get any numbers of consumers from all over the world involved in searching for illegal content distribution. The service is 100% automated, doers work anonymously and get their remuneration in the STFcoin cryptocurrency. The project developers offer rights holders a ready-to-use service: the search for pirated content. Millions of people from all over the world are ready to work 24/7 on searching for pirated films and music, software products and computer games. Speed is of utmost importance in fighting piracy. Only a system that involves as many doers as possible can detect infringements quickly. This content is from a guest author. Blokt does not necessarily endorse this content, the accuracy or quality or this content, or any other product or advertising on this page. We are not responsible for or liable for the content seen here. Readers should do their due diligence relating to the product, company, service or advertisement seen on this page. Blokt is not responsible for any damage or loss caused or declared to be caused directly or indirectly by any content, product or service mentioned here. Previous articleBitcoin vs Litecoin: Which is Better?